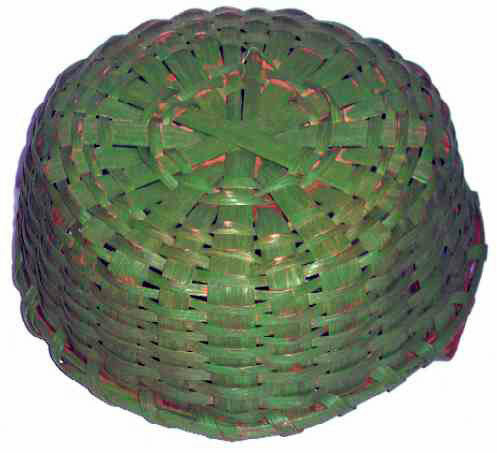 Presented here an gorgeous Splint Basket in the most wonderful Apple Green Paint. This one is a real treasure! (Can you tell I love it? But, of course I like any color as long as it's GREEN!) Fixed handles, Kicked up bottom, 11-3/4" in diameter and 4" high (not including the handles). The condition is high outstanding and the color is eye-popping. The surface is nice and dry . . . just the way we like it. 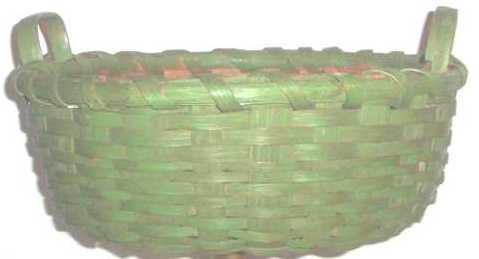 There are no breaks in the splint and this basket is just about as good as they get.